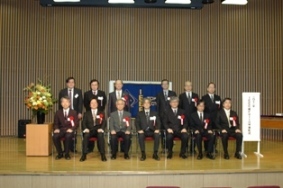 Dedication Ceremony of IEEE Milestone for the First Practical Field Emission Electron Microscope was held on January 31, 2012, at MITO PLAZA HOTEL, Mito, Japan. Hitachi developed and commercialized the world’s first field emission scanning electron microscope in 1972. 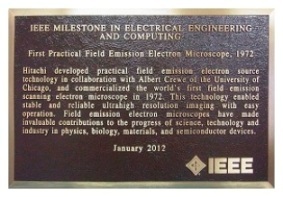 It was approved as an IEEE Milestone on April 5, 2011. IEEE Tokyo Section hosted the Dedication Ceremony for the Plaque of IEEE Milestone in Electrical Engineering and Computing and invited many guests including Prof. Lawrence Wong, IEEE Region 10 Director, Prof. Tomonori Aoyama, Chair, IEEE Tokyo Section, other executive committee members, and executives of national academic institutes and societies. In this ceremony, Prof. Tomonori Aoyama gave an address, and Dr. Eiichi Ohno, IEEE Japan Council History Committee Chair, explained the background of the approval. Prof. Lawrence Wong presented commemorative plaques to Mr. Hiroaki Nakanishi, President, Hitachi Ltd., and Mr. Masao Hisada, President, Hitachi High-Technologies Corporation. After the Dedication Ceremony and the party, the 2012 Second Lecture of IEEE Tokyo Section was held in Naka Division, Hitachi High-Technologies Corporation at 3:00 p.m. There were rising of 200 participants. First lecturer Dr. Eiichi Ohno, IEEE Japan Council History Committee Chair, gave an introductory talk on IEEE Milestones. Second lecturer Dr. David C. Joy, Distinguished Professor of University of Tennessee, gave a talk entitled "Building a Brighter Beam". Third lecturer Dr. Hirotaro Mori, Professor Emeritus of Osaka University gave a talk entitled "Study on Structural Stability in Nanometer-sized Alloy Particles by FEG-TEM". Fourth lecturer Dr. Hidehito Obayashi, Chairman of the Board, Hitachi High-Technologies Corporation and a recipient of 2010 Ernst Weber Engineering Leadership Recognition, gave a talk entitled "History of Hitachi's FE-SEM". The lecture was concluded by Mr. Takashi Matsuzaka, Vice President and CTO, Hitachi High-Technologies Corporation. 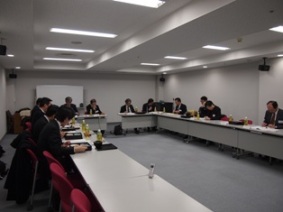 The 2012 First Meeting of of Tokyo Section Executive Committee was held on Tuesday, March 12, from 12:00 p.m. at the Japan Society for the Promotion of Machine Industry, Tokyo. 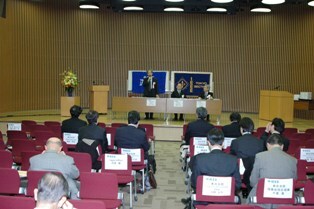 The 2012 Annual General Assembly of Tokyo Section Life Members Affinity Group was held on Tuesday, March 13 from 2:00 p.m. at the Japan Society for the Promotion of Machine Industry. 29 members attended. Activity reports for 2011 and Action plan for 2012 were reported. 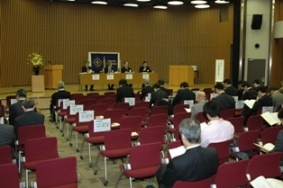 The 2012 Annual General Assembly of Tokyo Section was held from 2:30 p.m. at the Japan Society for the Promotion of Machine Industry. 40 members attended. Activity / financial reports for 2011 and Action / budget plan for 2012 were reported. 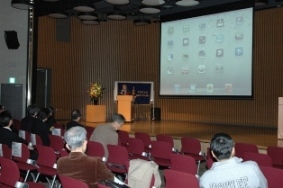 After the 2012 Annual General Assembly of Tokyo Section, the 2012 Third Lecture of IEEE Tokyo Section was held in Japan Society for the Promotion of Machine Industry Hall (2nd basement Floor) at 3:10 p.m. with 50 participants. The lecturer was Dr. Hirochika Inoue, Professor Emeritus of the Tokyo University and the talk was entitled "A Lifelong Challenge in Intelligent Robotics". He expounded intelligent robotics technology, which he has been consistently working on since its emergence in 1960s, by demonstrating quite a few video contents. The talk was concluded with its future challenges. 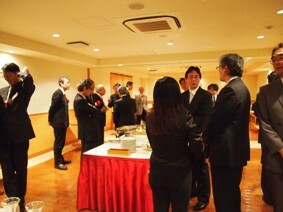 After the 2012 Third Lecture of Tokyo Section, Celebration for The 2012 New Fellows was held. 13 members were newly selected as IEEE fellows from Tokyo Section this year, and 9 of them attended the celebration. To mark the occasion, Prof. T. Aoyama, Tokyo Section Chair, presented new Fellows Radio Wave Clocks, and each new Fellow gave us a speech of joy.